`Match-n-Freq` is a pulse shaping filter program that finds the pole-zero locations of a transfer function, H(s), for a matched filter. H(s) equals a -desired- signal (Yout) divided by a given input signal (Yin). Both Yout and Yin are functions of frequency. 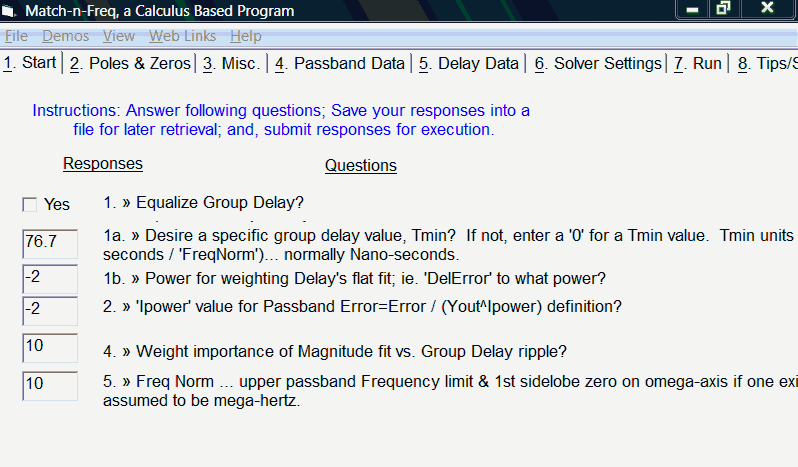 Group delay may also be calculated to compliment a given data set, thus, providing a flat group delay. Another improved productivity example do to using Calculus (level) programming. This Program is a basic Calculator but it Talks. You input your Calculations and it Speaks them all to you. If Hearing your Calculations is something that you need, then this is the Program for you.